Rabat - World Kickboxing Champion Moroccan-Dutch Badr Hari will once again fight his Dutch rival, Rico Verhoeven, in a match scheduled for March 2018. 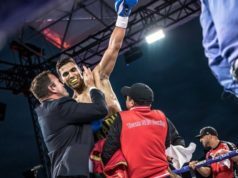 Rabat – World Kickboxing Champion Moroccan-Dutch Badr Hari will once again fight his Dutch rival, Rico Verhoeven, in a match scheduled for March 2018. The two Glory champions fought earlier this year, but Hari lost due to a bad injury obtained during the second round. The 32-year-old was subsequently disqualified, unable to continue as his arm could not be realigned for the ring. 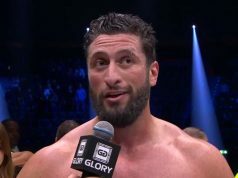 Despite accepting defeat, Hari declared the fight was not over and promised that he would be back next year, when he had recovered, to face off with Rico once again. In February, a Dutch supreme court handed down a sentence to Hari of six months in prison for a number of assaults in Amsterdam. Charges in the case stemmed from an aggravated assault against Koen Everink in the skybox at the Amsterdam Arena and an attempted assault in the Jimmy Woo nightclub. Hari had been sentenced on appeal to two years in prison, including ten months of probation in October 2015. He was also asked to pay a financial fine in damages. Currently in prison, Hari trains daily in order to fulfill his promise to defeat his rival Rico in a knockout.